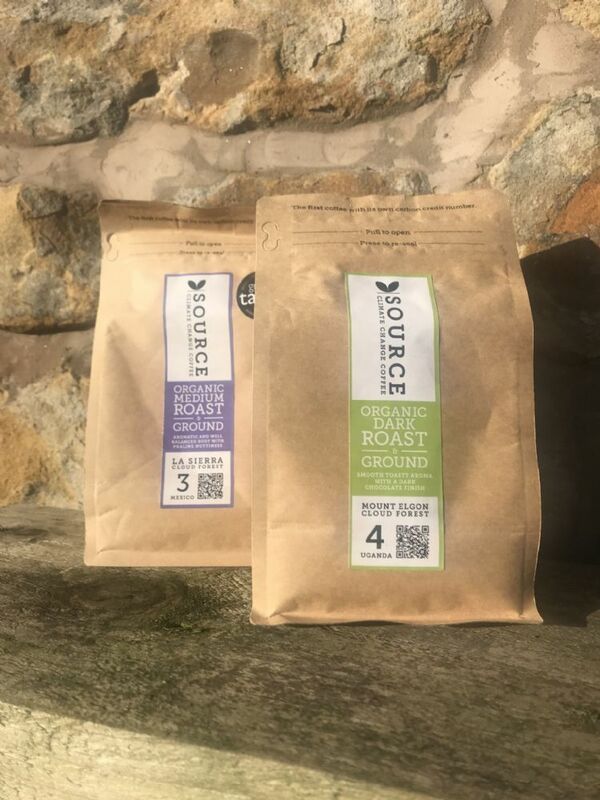 Organic Dark Roast & Medium Roast Ground Coffee. Strength 4: A unique, single origin organic speciality coffee. Full bodied and roasted a little longer to bring out the dark chocolate richness and toasty notes to make a round flavoured and aromatic cup. Strength 3: Winner of a Great Taste Award in 2013, this smooth medium-dark roast coffee has a delicious praline nuttiness and is perfect for drinking at any time of day. Each bag has a unique tracking number to show the farmer’s on-going conservation efforts at the cloud forest of origin. For every bag sold, local farmers plant trees to support the forest and their families. All Source coffees are offset using reforestation carbon credits and are 100% traceable to the forest community conservation project.